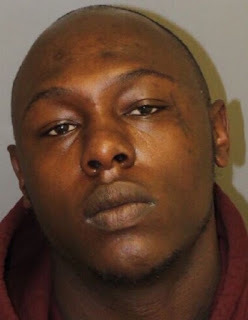 Grape Street Crips gang member Khalil Stafford, who goes by the street name “Homicide” faces life in prison after he was convicted on federal charges related to the 2010 killing of a bystander when gunfire erupted at a family cookout. Stafford faces a mandatory life sentence for murder in the aid of racketeering. Stafford and fellow gang members confronted a man about a drug debt during the family cookout on June 19, 2010. They left to get guns and when they returned, they opened fire with more than a dozen shots. Hope Williams, 33, an innocent victim, was killed. With Stafford’s conviction, all 14 gangsters have been convicted. The Grape Street Crips was targeted with 66 arrests in a May 2015 takedown. All of the arrests led to convictions on charges of drug-trafficking, assaults and witness intimidation.